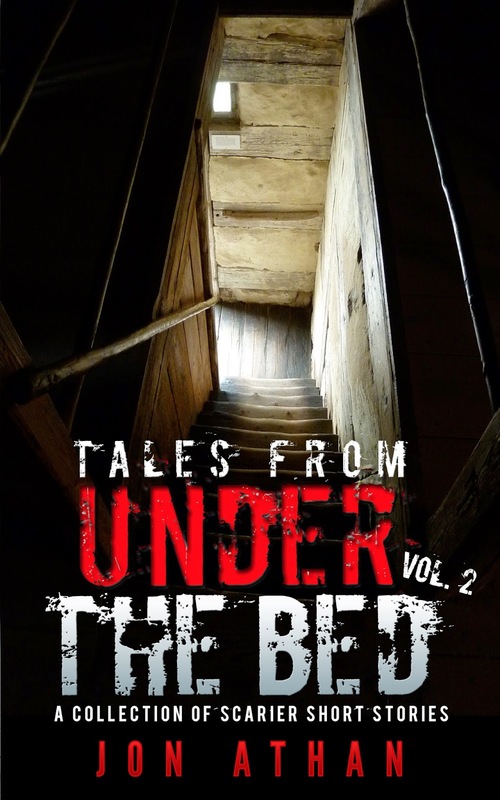 Jon Athan: Tales From Under The Bed series sale on Amazon.com! A free horror book and a deep discount! Tales From Under The Bed Vol. 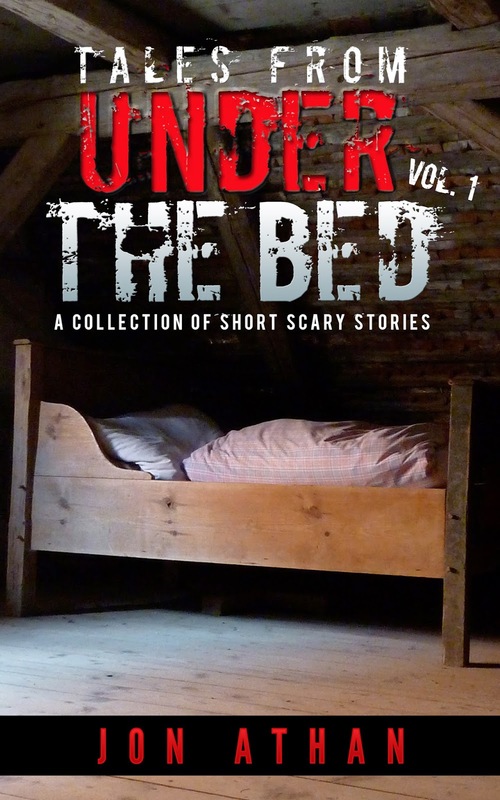 1: A Collection of Short Scary Stories will be free on Amazon.com on December 17th and 18th. That's two full days to get your free copy of my first book. And, it's completely free - that's a steep discount if you ask me! On December 19th, the book will return to the regular $0.99 price, so don't miss out on these huge savings! Tales From Under The Bed Vol. 2: A Collection of Scarier Short Stories will be deeply discounted between December 17th and the 21st. This will be a Kindle Countdown Deal, so the faster you jump on this deal, the better the price! For the first 48 hours of this deal (up to December 19th, 2014 at 4:00 AM PST), this book will cost $0.99 - that's a 67% discount! For the final 48 hours of this deal (up to December 21st, 2014 at 4:00 AM PST), this book will cost $1.99 - that's a lesser 34% discount, but still worthy! Pick it up before the price returns to the regular $2.99 tag! 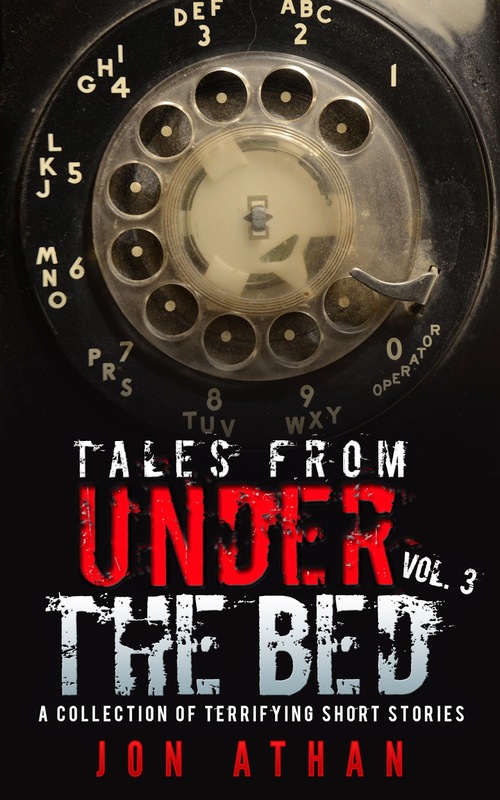 Tales From Under The Bed Vol. 3: A Collection of Terrifying Short Stories releases on December 19th, 2014. Although this installment won't receive a discount this week, you can purchase the book for $2.99 - nowadays, that's less than a cup of coffee at most places. As you can see, these are some incredible deals. In fact, by taking advantage of these deals at the right time, you can own the entire Tales From Under The Bed trilogy for $3.98! (not including applicable taxes) I hope you enjoy these deep holiday discounts! I especially hope you enjoy these books! Thanks for reading, I greatly appreciate it!